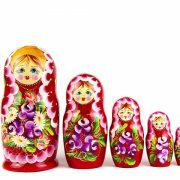 Russia and Hong Kong Double Tax Treaty enters in force | AsiaBC HK: Register Company. Open Bank Account. Save Tax. 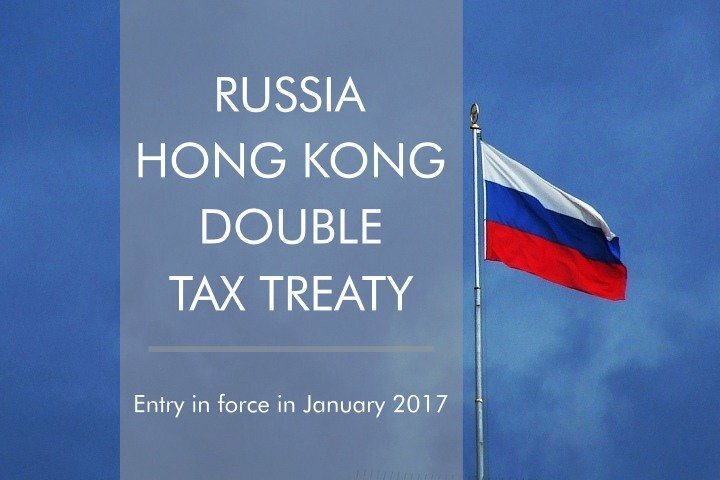 The comprehensive double taxation agreements (CDTA) between Russia and Hong Kong was signed in January 2016, and has entered into force since August this year. This Tax Treaty has applied from 1 January 2017 in Russia and from 1 April 2017 in Hong Kong. As the basis for the Treaty, Russia and Hong Kong used the current version of the OECD Model Convention for Taxes on Income and Capital. Prior to the Treaty entry into force, Russia-originated companies operating in Hong Kong were subject to income tax in both jurisdictions. In another case, the repatriated profits of a Russia-originated Hong Kong company would be tested by both tax bureaus to determine the source of the income individually. The Treaty states separate criteria for the recognition of an individual as a tax resident in Hong Kong and Russia. Herewith, Hong Kong residents are individuals who generally resides in SAR Hong Kong, or who reside in Hong Kong for more than 180 days during a particular tax year or more than 300 days during two tax years, one of which is the reporting tax year. Russia residents are individuals who are liable to taxation on the basis of Russian law and their residence in Russia. It is worth to note that an individual is not recognized as a Russian resident for the Treaty purposes if they are subject to tax in Russia in respect of Russian source income exclusively. The Treaty mentions some differences which are triggered by the specific features of Hong Kong domestic law, such as a tax on property. Since Hong Kong levies tax on direct incomes, Hong Kong does not impose tax on property but on income from the use of property e.g. rental income. 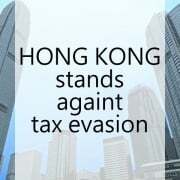 Another case is the withholding taxes on capital income, as Hong Kong does not impose these tax while Russia does. The Treaty specifies that profits arising from the operation of ships or aircraft in international traffic will be taxed only within the jurisdiction where the operating companies are registered. The Treaty contains provisions of tax transparency and restriction of obtaining tax relief on some types of income, including dividends and interest. The Treaty also establishes that the contracting countries are not restricted in their right to apply domestic laws or measures against tax evasion. In keeping with other CDTAs, the both jurisdictions have agreed to the mutual exchange of information for increasing tax transparency and combating tax evasion. Russia, information exchange applies to value added tax, assets tax and tax on the property of individuals. Although China government has been establishing pro-foreign business regulations in major cities such as Shanghai and Shenzhen since 90’s, Hong Kong being a special administrative region (SAR) of People’s Republic of China is still a prefered trading and financial hub to link between Russian and mainland China markets for inbound and outbound investment. 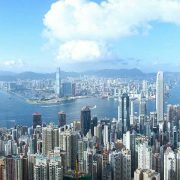 Under the “One Country, Two Systems” framework, Hong Kong has retained its own well-developed legal and financial system with the rights to sign international agreements, while enjoys a close political and economic connection with the Mainland. Based on the current free-trade agreements between Hong Kong and mainland China, corporates operating in the SAR benefit from tax deductions laid out in the comprehensive double taxation agreements (CDTA) concluded between mainland China and Hong Kong and Mainland and Hong Kong Closer Economic Partnership Arrangement (CEPA). Mainland China has streamlined the process for Hong Kong companies to register in the mainland by offering investment incentives, including zero tariffs for goods originating from Hong Kong. Therefore, Russian enterprises are encouraged to register Hong Kong companies as a stepping stone to tap the vast markets in the mainland China in terms of international trade. From the standpoint of international traders originated in Russia, Hong Kong has long been recognized as an excellent re-export platform for Russia and the mainland China. In fact, re-export of goods originating from the mainland China accounted for 95 per cent of total export of Hong Kong – Russia trading volume in 2015, according to Hong Kong government’s trade bureau. 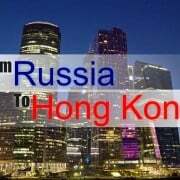 Russia is Hong Kong’s largest trade partner in Central and Eastern Europe. Hong Kong’s total exports to Russia soared by 32% to US$1 billion in the first half of 2017, while imports from Russia surged by 47% to US$457 million.